Have you thought anymore about adding a Sub to the Genelec's? I bought a pair of Genelec 8010a's at the end of last summer. I had them setup in my main system for a while to try them out, with and without my sub. Great speakers. I now have them setup upstairs with my Roland MC909. Definitely want a sub or larger Genelecs but currently it is not an option unfortunately. I would also like a later Genelec model as they have signal sensing power. Last edited by AlmaataKZ on Tue Oct 18, 2016 8:35 pm, edited 1 time in total. AlmaataKZ wrote: Definately want a sub or larger Genelecs but currently it is not an option unfortunately. I would also like a later Genelec model as they have signal sensing power. The 7040a sub looks like a good match, reasonably priced too. Also, the JL Audio D108 looks like it would work well. My 8010a's have signal sensing power up, but when in standby you can hear the hf power supply. You may or may not be able to hear this, but to me, in a quiet room it sounds like one of those plug in pest control devices. Currently helping a friend to design and install a multiroom system and 5.1 av as part of house refurbishment. I do the speccing, builders install cabling and ceiling speakers and I install and set up the rest. Nice 4k tv, bluray player, marantz sr7010 avr, 5.1 ceiling speakers (passive), JL Audio sub, 5 zones of ethernet airplay music with active speakers. 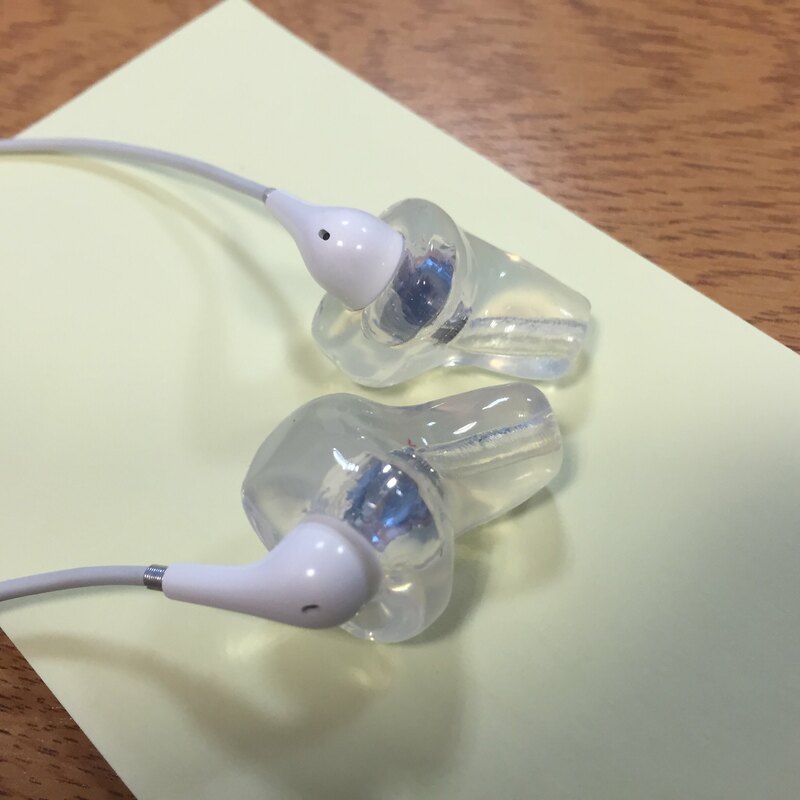 Custom tips for earphones. Very highly recommended. I got mine from Snugs. They can make half shell or full shell for almost any in-ear phones and are reasonably priced. Soft silicone as opposed to hard plastic. Last edited by AlmaataKZ on Wed Oct 19, 2016 1:23 pm, edited 1 time in total. They look good, I bet they get a really good seal. Excellent seal indeed and very good noise isolation. The bass is significantly improved and there is a lot less noise. I now listen at levels 2-4 clicks below previous even on tube and planes! Sounds good. Are they removable or fixed tips?